The mass killing was in retaliation after a villager was recently killed by crocodile. 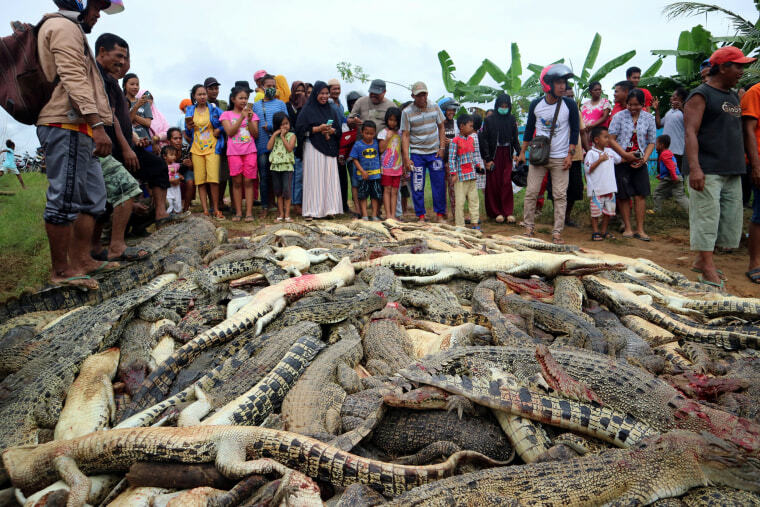 JAKARTA, Indonesia — A mob slaughtered nearly 300 crocodiles at a breeding ground in Indonesia's West Papua province in retaliation for the death of a local man, officials said Monday. "Since killing the crocodiles is illegal, we are coordinating with the police for the investigation," Manullang said. The agency said in a statement that the villagers were armed with machetes, hammers, shovels and other sharp weapons. They killed two large crocodiles of up to 13 feet and many babies measuring 20-60 inches. Police are encouraging mediation between the victim's family and Mitra Lestari Abadi, the company that operates the sanctuary.